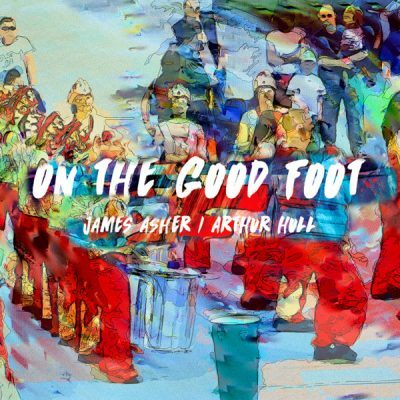 London-based composer, producer and musician James Asher has experienced a long and varied musical career, and in recent years has enjoyed great success the with his percussion-based “Feet in the Soil” series. He was initially trained as a sound engineer, and his keen ear and expertise for audio engineering can be heard in his stimulating recordings. But Asher ultimately went the route of performer. His first single was produced by The Who’s Pete Townshend in 1979, and Asher later returned the favor by playing percussion on Townshed’s Empty Glass album. Asher also composed over 23 albums of library music in the ’80s before releasing his first commercial album “The Great Wheel” in 1990, which lingered on the New Age Billboard chart for two years and reached as high as the No. 13 spot. His next project was “Globalarium“, which featured world artists Hossam Ramzy and Joji Hirota and opened the door to his now famous “worldbeat” style. Throughout the second-half of the ’90s, Asher tapped into the demand for world-flavored rhythmic sounds, and is one of the few percussionists in the field of New Age that transcends his love for the diverse indigenous rhythms of this planet in his music. Asher’s “Feet in the Soil” album struck a nerve with music lovers with its unique rhythmic blend of dideridoos, hand percussion, djembe, flute, cello, and sold over 150,000 copies worldwide. As an exclusive artist on the New Earth label, Asher has also enjoyed success with his “Tigers of the Raj” and “Colours of Trance” recordings, to name a few. NAV writer Deva Maya sat down face-to-face with James Asher in Santa Fe, New Mexico. Asher was spending a month traveling throughout the States, and had stopped by the office of New Earth Records to catch up with his label. NAV: Tell us a little bit about your background, where you were born, and a little bit about where you came from. JA: I was born in Sussex, a coastal town on the south coast of England. I learned the violin when I was seven. My father taught music at a school and led a small orchestra at the Ascham school, and my brother played trumpet and my sister danced and sang. So music was in my family from the beginning. NAV: You started to play music very young. What was your first instrument? JA: I first enjoyed the violin, but I found it hard to be very expressive on it. First and foremost, it’s a difficult instrument, and second it’s doesn’t necessarily lend itself to improvisation without quite a lot of technique. I felt a lot more freedom on piano and drums. With the piano, my father showed me a few simple things to do with chords and understanding what a major chord and a minor chord was, and he showed me how to play the St. Louis Blues when I was thirteen and everything else I just discovered and taught myself. I essentially learned to play by just putting my hands over the keys, imitating things I knew, and hearing what felt good. NAV: What was the affect on you when the Beatles became popular? JA: I remember bringing the first Beatles album I bought back to the house. I think it was A Hard Days Night. My father was very shocked. He thought that things had come to quite a low ebb when that album came into the household. But I don’t think he necessarily felt like that forever. I think he came to recognize that, compared to a lot of music out there, the Beatles actually had some great tunes. As for myself, at that time I think I was most affected by the mass excitement that surrounded them. For me, the Beatles weren’t actually the most exciting band at the time. I remember the first single I bought was actually “Good Vibrations” by The Beach Boys, and that I liked a lot. The quality of sound was so amazing and it also coincided with me getting my first stereo system. A stereo was an amazing thing to hear back then. NAV: Did you already know at that time that music would be your life? JA: No. I thought it was actually going to be something quite different and I wasn’t sure what for quite a while. NAV: What did you study? JA: I studied languages. My father taught French and German, and I took English, French and German “A Levels” as we called them. And I went to Brussels for a while so I got to speak French quite a bit. NAV: What inspired you to start drumming? NAV: And now you have Pete Townshend as a fan, and with whom you had the occasion to play with. That sounds like a great experience. JA: It sure was nice to get to play for him. I had submitted a demo tape to him and his company. It was listened to by someone on his staff who really liked it and gave it to Pete to listen to it in his car. Pete thought it was interesting so he asked me down to have a meeting and discuss what they could do for me. It was obviously sort of an adolescent dream to meet somebody whose work I had admired for so long, so yes, it was exciting. He was also going through confusion and a difficult time because Keith Moon had just died, and he realized that he was going to have to change the structure the band. He thought maybe he would explore doing more production at that time. NAV: Tell the story. You went there to him and then what happened? JA: Well, it was 1978 or ’79, and I went down to meet him and he listened to various things I had recorded at home because I had a multi-track recorder which I would bounce things on top of each other. He liked particularly an instrumental track, which I had created where I was playing piano which was bouncing in the rhythm of the echo. It was a technique which he later used on one of his own tracks but one which I showed him how to do. NAV: How exactly does that work? JA: Well, this was to do with tape delay. Nowadays people don’t work with tape, but in the olden days that’s what we had. If you set the machine in a certain way you could have a repeat quality, which you could set the length of. Because I’ve always been rhythmically driven, I was interested in the idea of actually making the rhythm bounce off the delay. That’s what he thought was interesting. NAV: No one had done it before? JA: No. Not commercially as far as I know. He suggested that we should make a single of this particular track, which was an instrumental based around this piano. Then we had a discussion as to what should be on the top – a male or a female vocal. So he gave me two choices: Billy Nichols, a vocalist associated with Eel Pie, or this woman from stage school. I opted for the female voice. He had written some lyrics for the song, so the girl came along and read the lyrics. It went something like “My dad gets up at 8 o’clock and goes to work and scratches his head, falls out of bed,” just sort of ordinary, quite playful kind of stuff. I must admit that he had somewhat steered it away from what I had originally thought it would be. But I respected Pete’s opinion a lot-that it would be more commercial as a song, so I went along with it. So it was released as a single, and I did a B-side called “Breakfast in Naples”, which was another instrumental, which had mandolins and guitars and a lot of drums. It was my first chance to really record in a proper multi-track situation with decent studio facilities because at that time I had just about no studio equipment at all. So that was exciting. NAV: When did you have the idea that you really wanted to dedicate yourself to music? JA: Around the same time I was starting to make experimental compositions on the limited tape recording set up that I had, some of which I sold to a music library. Pete Townshend loaned me a four-track recorder of his own. That was useful for building stuff and I sold more of that to the music library and I ended up writing 23 library music albums. It was a lot of work. NAV: That’s how it all started with you? JA: Yes, that’s how I taught myself the technique to do recording. I also worked in studios and learned some of the official approaches to good recording. NAV: You seem to do a lot of self-teaching and self-learning. JA: Yes, I was pursuing my own creative journey and that was sort of evolving and expanding as time went on. NAV: How was “Feet in the Soil” born? JA: I had done quite a lot of music to support meditations by Aura-Soma either by Vicky Wall or by Mike Booth, who took over when Vicky died. I thought it would be nice for some of the music that I had done for the meditations be allowed to stand on its own. So I put together a CD called “Dance of the Light“. In due course I got friendly with their graphic designer named Rory. He’d been given a djembe for a birthday present and suggested it would be fun if we did something together. NAV: You actually met playing music together? JA: Yes, we just clicked when I went up to Aura-Soma, which is in Lincolnshire in the countryside. Rory brought his djembe and tried playing it on a track with some didgeridoo. We played it for Mike and he liked it a lot. He said we should do an Aura-Soma family album and that’s how “Feet in the Soil” was started. We had about 10 people connected with Aura-Soma like Melanie on flute playing with her partner Chris. About half way through the process of creating the album Bhikkhu and Waduda from New Earth Records got to hear it. There was a strange sort of destined quality about the whole process. There was an extraordinary energy about the time when the album was recorded. We had 10 weeks of heat wave which is very unusual for London. It was so hot that in between recording we’d have to switch all the equipment off just to cool the room down. I think something within the “heat” made its way into the music. NAV: And the people from New Earth were in your studio? JA: Right. We were listening to the first track, and they said that it was the sound they where looking for and they loved it! The whole album was done in a period of 3 months, which for me is fast. My albums can sometimes take a year or more. NAV: How was “Feet in the Soil” received? JA: When the album was finished, it was met with very good response both at Aura-Soma and by the people who had done the courses. The music was found to be very useful as a way of grounding with the earth’s energy. It also seemed to meet with a good response in Germany. It was obviously very heartening for me to get very positive feedback from a number of sources. NAV: One of these sources was Pete Townshend. He really liked this album. JA: That was at a later stage. I didn’t actually send copies of albums until about 3 years after it had been out, and I also sent him copies of “Tigers of the Raj“. There was definitely a feeling that I had hit a certain nerve because of the quality of the response. It was broad and that obviously made me feel as though I’d in some way realized my true path or that I was in tune with the universe somehow. NAV: So there was no question that you had to do a “Feet in the Soil 2“? 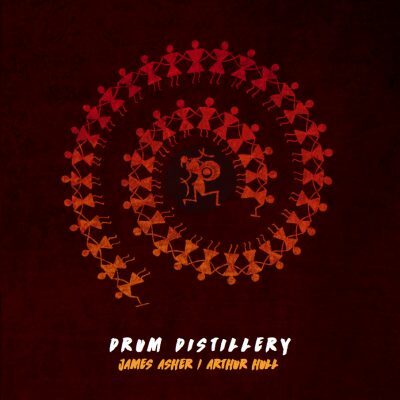 JA: I have always loved drums and I’d evolved a collection of drums that started to encompass larger ones. I bought a taiko drum and I bought the standing ngomas and this was starting to create a whole sort of tonality and era of its own through the depth of vibration that those drums have. Also Rori, who played didgerdoo on the first “Feet in the Soil“, moved to the street next to mine, so it was another chance for us to reconnect and play together again. The didgeridoo was certainly our key component in the first one. I felt the energy of the new drums and the new system I had for recording them, and the way I was able to get more of the vibration of things. I thought it would be interesting to review the concept of “Feet in the Soil” but with a new framework of the new influences and sounds that I’d been using. So that was the starting point. “Feet in the Soil 2” is based on the same principles, but over the last 5 years both myself and the technology changed. Plus I have gotten deeper into the culture of drumming itself. NAV: Then you went to India after “Feet in the Soil“. Why India? JA: I had long been interested in India, and we came across a tour which seemed very attractive because it took care of a lot of the difficulties of getting around—the unreliability of trains, avoiding food poisoning, etc., and the whole general tentativeness you can have of the uncomfortable side of travel. NAV: So what impact did India have on you? JA: I was so intrigued and drawn to the whole flavor of the over all adventure that I wanted to know more about it. So when I came back I spent some time researching books about music and dance of India, attending Indian performances and learning about ragas. I also went to meet Al Gromer Khan in Munich. NAV: India inspired you to do “Tigers of the Raj“, correct? JA: Yes, and in many ways I think it’s my best album. I know Indian music is not everybody’s taste. It’s very uncomfortable for a lot of American people to visit India and maybe that’s what puts them off really hearing and understanding the music. It’s a shame because India is a dynamic country throbbing with potential. NAV: “Colours of Trance” is a very esoteric album. 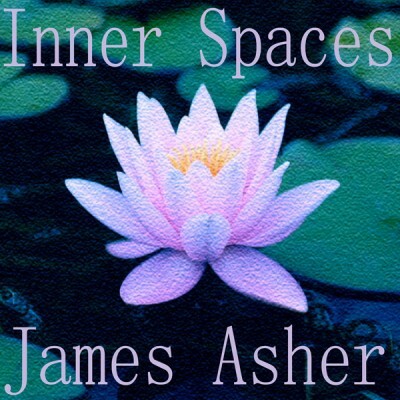 Each track is related to a different color and it is the first time that there is a combination of harp and drum – one more surprise from James Asher. JA: Yes, covering as far ranging a concept as the spectrum of color to me would intrinsically mean that you’re going to be in all kinds of different areas as the energies change with the different colors. Orange being a percussion solo duet between Glen Valez on frame drum and Sandeep on tablas is obviously appropriate for that color; as where green is more spatial and lyrical and tender. It’s a very far ranging thing to achieve and in many ways you feel perhaps this should be something to attempt in many different volumes and done over a life time because its such a huge area to cover. NAV: There is also another project that came out of the sounds of “Tigers of the Raj” that you did with some of the best DJs in England. JA: I got interested with the DJ culture and where that was going-the concepts of remix and reconstructing ideas. It’s coming out as “Kali Thunder” in July of 2001. NAV: Tell us about your visit to America this year. JA: I’ve become increasingly aware of what interesting characters drummers are. I’ve been lucky enough to meet some of the finest. Glen Valez, for example, who worked on “Tigers of the Raj” is a phenomenal frame drum player. I met Shivemani who is a great Indian drummer. I also met Arthur Hull, the famous drum circle leader from America. NAV: So what was your experience with the drum circle? Was that at a festival in Seattle? JA: Yes, in Seattle, Arthur was leading large drum circles of between 300 to 400 people at the World Rhythm Festival. Seattle is quite a rhythmically sophisticated community. It’s their 9th festival so drumming has obviously been quite a part of their community. Even my wife Celia who is not a drummer was quite taken by the spirit of the drumming circle there. NAV: And now you’re sitting here in Santa Fe, New Mexico. JA: Well, I’ve been connecting with the New Earth Records label for several years now. They moved here to Santa Fe from Boulder about a year-and-a-half ago. It seems like it was a good move for them. Look at all this physical space and this nicely integrated open office in this beautiful location right outside of the city. NAV: And how are you doing with them? JA: Being with a record label is kind of like a family relationship. After a while you start to understand each other better, and things you work through eventually end up making your relationship stronger. Your respect and appreciation of each other increases as you grow together. NAV: Tell us about the name Asher. 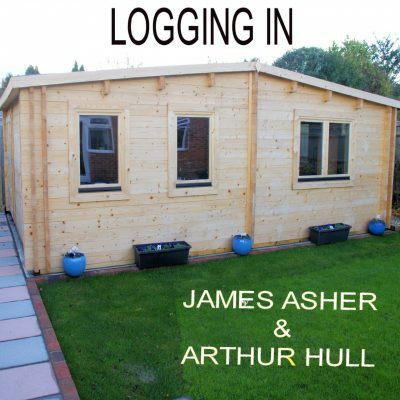 Are you related to the other Ashers who are so well known in the music world? JA: Yes, I have two cousins who have been associated with the entertainment business. Jane Asher, who is my double first cousin-double first cousin because two brothers married two sisters, so I’m related to both sides of the family. Jane was of course best known-apart from being a child prodigy actress and reader of plays on the radio-was Paul McCartney’s girlfriend for a while. I did at one point meet Paul and that was very interesting. In fact I was playing “Paperback Writer” and he walked in, so that was quite a surreal experience. NAV: And the other Asher? JA: Jane’s brother who is another double first cousin is Peter Asher who has been in the music business for many years. He was half of Peter and Gordon. They had 5 hit records, one of which was written by Paul McCartney. Peter then moved to Los Angeles and produced artists like Linda Ronstadt, Jackson Browne, and Cher. He is currently Vice President of Sony Music. NAV: The term “New Age” now seems a little dated and yet it seems to be the only label in the music bins that can encompass all these new styles of music emerging, apart from the occasional “worldbeat”. Do you think that’s a problem? JA: I don’t think it makes a huge difference. People who are enthused about this kind of music invariably tell their friends about it and that in itself is almost more powerful as a means of spreading the word and increasing the energy around products than the conventional means. NAV: So what is the biggest contribution that music has made to your life – and that you have made to music? JA: I suppose it has kept me out of doing jobs I don’t want to do. NAV: It seems there many people who love your music. What would you like to say to the thousands and thousands of fans who have bought your music? JA: I most want to say that I hope that they’ll enjoy the ongoing journey. It does feel very much like it’s not remaining static. There are different influences coming in and out that I seem to get drawn to, which then lead to their own journeys. It may be a while before Feet in the Soil 3, but it will be really good when it happens. NAV: What are you working on now and what are your future projects? 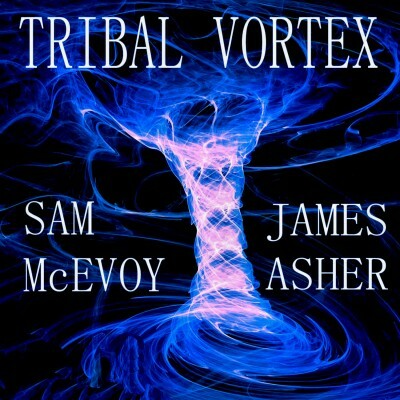 JA: I’m working on material on the theme of drum circles that I’ve recorded and filmed during my month-long States trip. It has been excellent and put me very much in touch with the whole picture of drum circles in the States. I have taken in the World Rhythm Festival in Seattle, my travels to Boulder and Santa Fe, and some benefit concerts and drum circles for Babatunde Olatunji in Middletown, New York. I’m also about to embark on a drumming series with New Earth label. This is a very exciting project for me. Drummers all have their own voice and unique style of expression. The activity of drumming is in itself such a profound tool, as I’ve been especially discovering further on this trip. The first project will be centered ondrumcircles. I’m also looking forward to writing some more healing music, continuing where I left off with the album “Dance of the Light“. This provides a perfect gentle counterpoint to the drumming. I am lucky to have a label that recognizes the two aspects of my creativity. Deva Maya is a freelance writer based in the Southwest United States, and has written for numerous music and New Age journals most notably in Europe.This article was reproduced with permission from NAV Online.